Derbyshire have taken the decision to move Sunday’s Natwest T20 Blast fixture from Queen’s Park, Chesterfield back to the 3aaa County Ground in Derby. The club have taken the decision to move the game back to their regular base, following the fourth successive day where play has been impossible at the famous and picturesque out-ground due to a saturated outfield. The lack of stability in the bowler’s run ups have been the main concern, with umpires feeling that bowlers could face serious injury, if asked to bowl flat out on the surface. 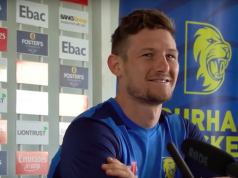 The move will be a blow to Queen’s Park and Chesterfield who, since Derbyshire have returned there in 2006, have had great success in staging top class cricket and have always enjoyed bumper crowds, especially against Sunday’s opponents Yorkshire. This comes on the back of last Sunday’s cancellation of a Natwest T20 Blast game versus Northants, and no play being possible in the first three days of the following Specsavers County Championship fixture against the same opposition. If no play is possible on Thursday this will be the first time in 35 years that’s Derbyshire will have faced a complete wash out in first class cricket. 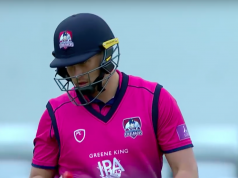 This is clearly very frustrating for everyone involved with the club, including officials, supporters, players and especially Captain Billy Godleman who said “Unfortunately the run-ups have hardly improved since the first morning and it’s still unfit and dangerous for the bowlers. “It’s predominately at the far end, but I still think it’s touch and go at both ends. The guys went out for a practice bowl this morning in spikes, with the umpires watching, and they were tearing up the turf after three or four balls; so three or four overs of that and it would have been unacceptable and dangerous. He went on to add: “I saw some photos of the ground 10 days ago and one-third of the whole playing area looked like a river. 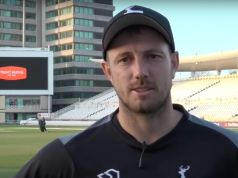 Derbyshire will be hoping for the same good weather on Sunday, so they can follow on from their impressive performance last time out against the Worcestershire Rapids and try and force their way into the top four of the North Group. Keep your eye out for the preview of the game prior to Sunday’s match, which will start at 14.30 as previously scheduled. The club have said the fixture is all ticket and tickets that have been purchased for the Queen’s Park venue will be valid at The 3aaa County Ground on Sunday. Members and Six Pack Ticket holders wishing to attend this Sunday are also reminded that they must claim a ticket, free of charge, in advance of the day of the game from the ticket office.